OMG. Oh. My. Gourd. Look, we only get one chance a year roll out these kind of puns, so bear with (we’ve saved the worst till last). 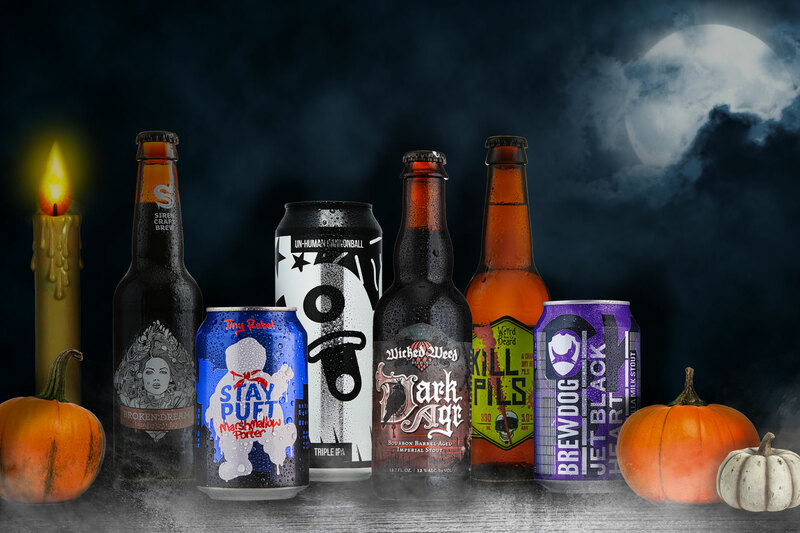 In an effort to creep it Halloween, we’re sure no body would want to miss out on these spooktacular beers. In our motley bunch of frightfully good beers, we’ve conjured together a selection of beers that step into the dark side. Some evoke the zombie world (Magic Rock’s Un-Human Cannonball), or perhaps those figures who were well, not that nice (De Molen's Rasputin - but what a beer). Some suggest murderous intentions such as Weird Beard’s Little Things That Kill or BrewDog’s Dead Pony Club (actually, we're not sure what that means). Admittedly some of them are a little tenuous (Wild Beer Co's Smoke and Barrels? – fantastic beer though). We're also rather chuffed with the inclusion of Tiny Rebel's Stay Puft, a marshmallow porter with the marshmallow man from Ghostbusters on the label. What ties them all together beyond any mildly scary names is quality. We’ve even pulled in a couple of seasonal pumpkin ales. Brooklyn’s Post Road Pumpkin Ale and Flying Dog’s Imperial Pumpkin Ale that also wins the ‘Scariest Label Award’ for Ralph Steadman’s rabid dog on it. I once asked a very well know brewer how to make a pumpkin beer with a glut we had on the allotment. He replied: “Step 1: throw away the pumpkin”. They’re not for everyone admittedly, but we bloomin’ love these two. 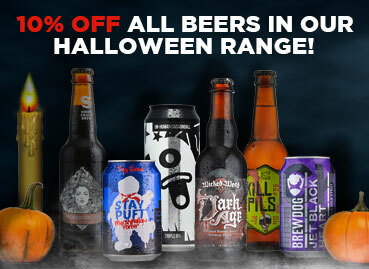 So go ahead and trick or treat yo’self with our fangtastic array if misfits, all with 10% off to make your Halloween go with a bang (or just get a discount on some delicious beer). See, you can't skele-run from my skele-puns. Sigh. Sorry about the last one. Can I stop now ed. ?